Each month we announce a lucky athlete who has been athletically and academically successful. 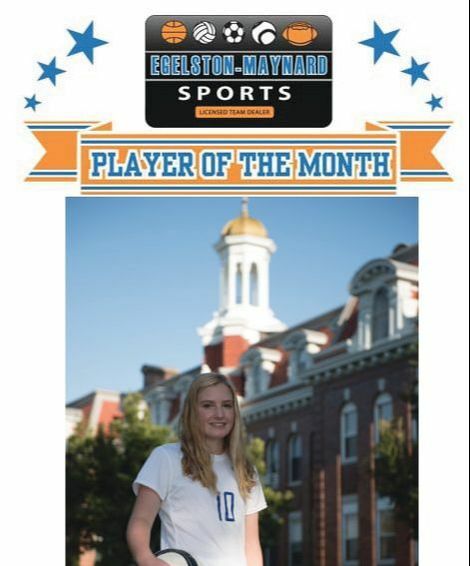 If you know a player who is outstanding on and off the court, nominate them today for a chance at being Egelston Maynard's Player of the Month. Simply tell us why they deserve this recognition. We’re excited to recognize Maddie Malone, a senior soccer player from Villa Madonna High School as our Player of the Month. Maddie is a true leader on the soccer field and in the classroom at Villa Madonna. The senior attacking midfielder is fourth in the State of Kentucky with 23 assists and second on the team with 17 goals on the season for the Blue Lightning who are 11-4-4. 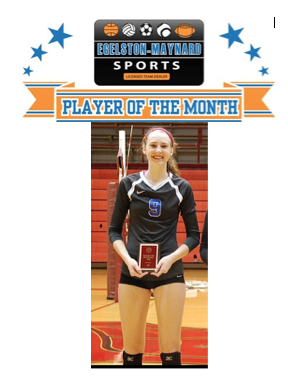 We’re thrilled to recognize Kelly Franxman, a senior volleyball player from Scott High School as our Player of the Month. Kelly has been a starter on the varsity volleyball squad since she was in the eighth grade. Kelly is extremely talented at volleyball and her athletic career will not end at the high school level, in fact, she’s earned the opportunity to continue her volleyball career at Xavier University. 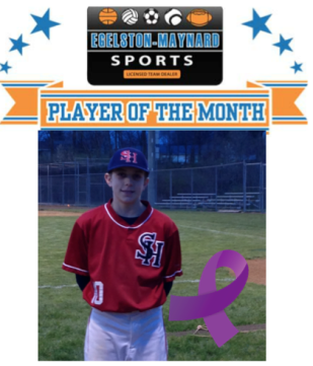 We’re proud to recognize Alex Shea, a freshman basketball & baseball player from St. Henry District High School as our Player Of The Month. We’ve chosen Alex not because of his huge athletic success but because he is a true fighter on and off the court. Our courageous player of the month is fighting a current battle that he nor his family ever expected. His recent journey has given him a new outlook and respect for life. Not just that, Alex’s story reminds us how blessed most of us are to play sports daily. Therefore, we can’t thank Alex enough for sharing his story with us! Learn More About Our Previous Winners!